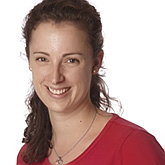 Elisabeth qualified from the European School of Osteopathy in 2004. She initially worked in Switzerland and since 2005 has been based in Guernsey. She can treat patients with a variety of back, neck and joint problem using traditional osteopathic techniques, articulation, manipulation and muscle stretching. She can also helps patients with chronic headaches. Elisabeth is trained in the use of cranial osteopathy and western acupuncture. She enjoys treating all age groups including adults, babies and children. Elisabeth is based at the Rohais surgery, and offers sessions at the High Street Surgery.